The circumstances of a dangerous accident are not always cut and dry. Sometimes there are multiple parties who contributed to the same accident. Sometimes even the injury victims themselves are partially at fault for their own injury. When these circumstances present themselves, the courts will turn to Texas’ comparative fault law to proceed. Comparative fault allows the court to assign a percentage of the fault to all of the involved parties. This percentage is then used to reduce any of the compensation that’s awarded to those parties. To take a closer look at comparative fault, let’s use a hypothetical case of two motorists: “Jill” and “David.” Late one night, David fell asleep at a red light. Traveling slightly over the speed limit, Jill rear ended David during a green light. Both suffered whiplash and each pursued $10,000 to cover their medical bills. David was 60% at fault for falling sleep on the road. Jill was 40% at fault for driving too fast. In this case, Jill’s awarded compensation would be reduced by 40%– so she would receive $6,000 for her injuries. The end result for David, however, would be different. In the above example, David was found to be chiefly at fault for falling asleep behind the wheel. Under these circumstances, he has become ineligible to collect any money. This is due to the Texas comparative fault 51% percent rule. Simply put, any party found to be 51% or more at fault for a particular accident becomes barred from collecting any damages. This law is in place to ensure that individuals are not able to profit from an accident that they primarily responsible for. If you have been hurt in an accident and are unsure about the viability of your injury claim, we invite to contact our team today. 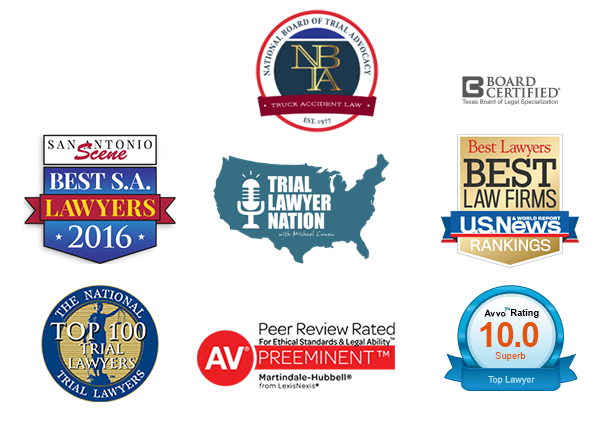 At The Cowen Law Group, our dedicated and experienced Cameron County personal injury attorneys have recovered millions of dollars on behalf of injury victims and their families. We know what burdens injury victims face and how to hold those responsible accountable.